"Well done, O good and faithful servant!" 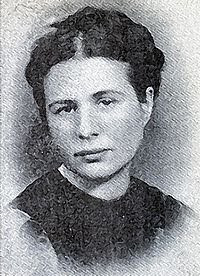 For her efforts, she was captured, tortured, interrogated, was sentenced to death, was beaten so severely by her would be executioners that all her limbs were broken–escaping only when her designated executioners threw her broken body to a Polish underground hideout. It appears her German executioners, having been bribed, had secretly cooperated with the Polish underground to enable her escape.